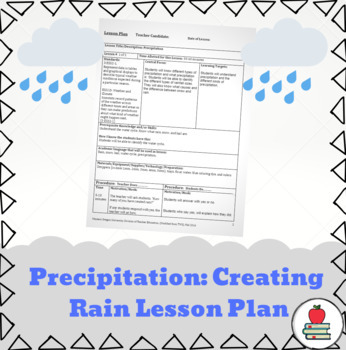 3rd grade lesson plan that engages students into a precipitation activity. Students will gain knowledge on precipitation. Throughout the lesson, different kinds of precipitation will be covered; rain, snow and hail. Students will gain knowledge through a hands on activity by creating rain. FREE worksheet provided on my shop. Students will fill out the worksheet during the lesson.